We just have to stop and take in the view, so we park the RV in one of the available pull-offs. Dan FaceTimes his parents to show them the scenery, and I Facebook video call my mom, who always says she doesn’t like the desert because “there’s nothing there.” She’s surprised by the flowers and the quantity of vegetation behind me, and I could be wrong, but she may just have changed her mind about the beauty of the desert. M-girl doesn’t waste any time. As soon as she comes out of the RV, she heads for the trail, not asking if anyone’s interested in a hike. Naturally, I follow her. We go for a short walk, and she’s happy as can be. This trail is easy and flat; however, you need to watch out for the cactus plants, which crowd some areas of the trail. We’ve taught the children to always watch where they’re going, and to stay well away from cactus plants. We’ve also learned during this trip that you should always carry a comb with you when hiking in the desert. Thankfully, we haven’t had to use that tip so far (and hopefully we won’t have to use it at all, but we always carry a comb with us). As we admire the beauty of our surroundings, we say something to the kids about the desert. They are absolutely convinced that they are not in the desert. When they hear that word, they think of media representations of the Sahara, and it’s hard for them to imagine that there’s more than sand in the desert. This is actually a great segue into a study about biomes. Later, in the RV, we watch a quick video that explains what makes a desert, namely: very little rainfall and extreme temperatures. 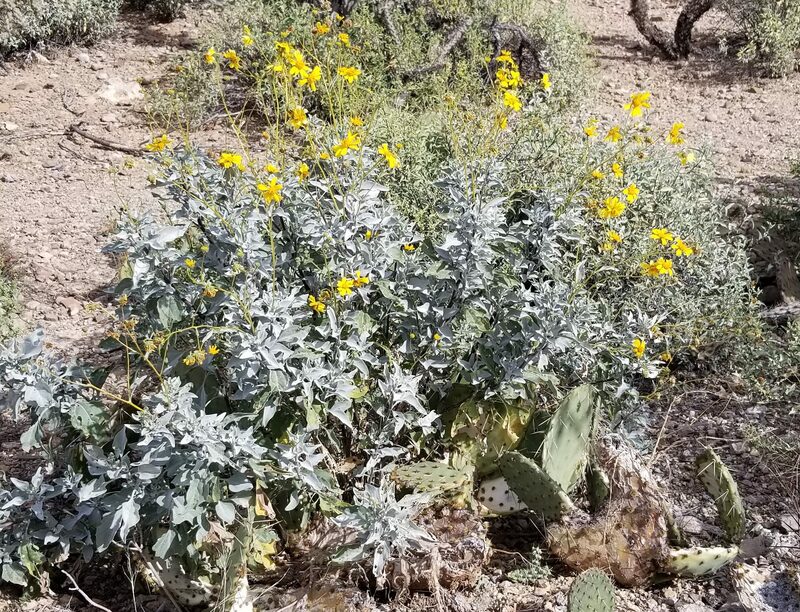 Later, at Saguaro National Park, this lesson will be re-emphasized during the Junior Ranger program. 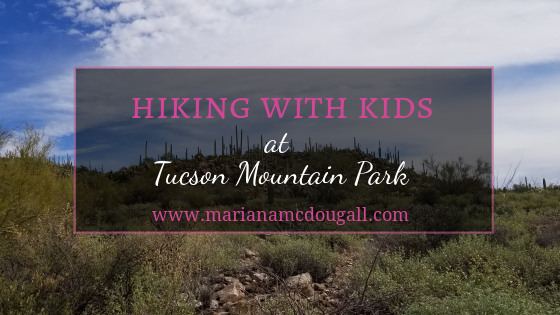 If you’re travelling near Tucson, we definitely recommend a stop at Tucson Mountain Park. 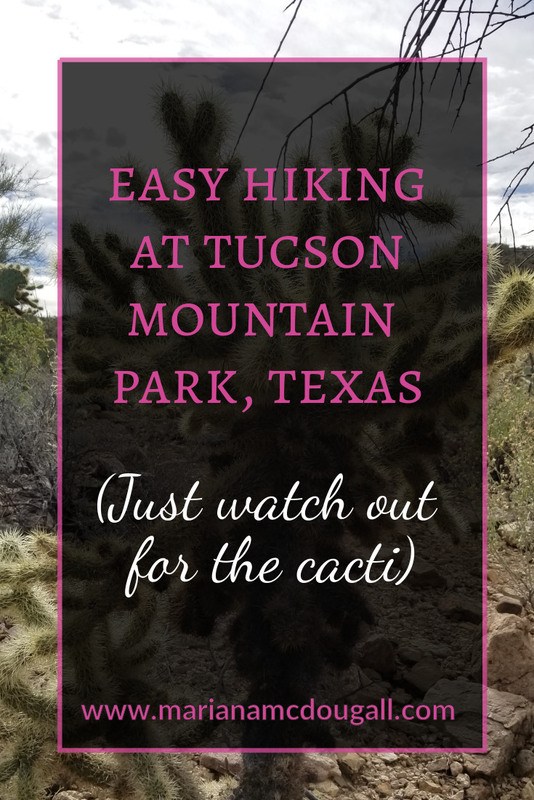 The scenery is amazing, and the hiking is fairly easy (just watch out for the cacti). I absolutely love the desert! It’s so different from where I live now. Each place has something amazing to offer.